Alex Tan Zhixiang (simplified Chinese: 陈智祥; traditional Chinese: 陳智祥; pinyin: Chén Zhì Xiáng) is a Singaporean political activist. As a member of the Singapore People's Party, he stood in the Singaporean general election, 2011 in the Ang Mo Kio Group Representation Constituency under the Reform Party banner. The team that he was contesting under received 49,779 votes in total, representing 30.67% of total votes cast within the GRC. Tan is a former editor of Temasek Review, a now-defunct socio-political website that covers mainly current affairs articles. In July 2011, Wang Peng Fei, a People Republic of China(PRC) student in Singapore made derogatory remarks against a Malay woman in his YouTube video post, and Tan lodged an official police report against him. The PRC student was subsequently expelled. Another PRC student, Sun Xu, who made a disparaging comment about Singaporeans (referring them as dogs), was also reported by Alex. 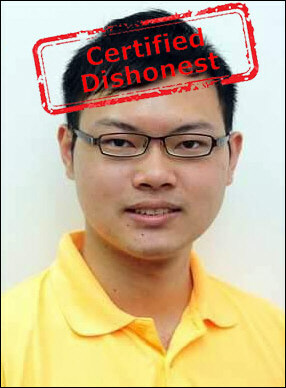 Tan was an editor and one of the contributors and founders of the sociopolitical website The Real Singapore (TRS). On 6 Feb 2015, two of the website's editors, Ai Takagi and Robin Yang Kai Heng, were arrested under the Sedition Act for sedition charges. Tan moved to Australia soon after and The Real Singapore was shut down on 3 May 2015 by order of the Media Development Authority of Singapore. He subsequently started a new website called Straits Times Review, later changing its name to States Times Review. Tan contested under the Reform Party banner in 2011 as his party, the Singapore People's Party, was not interested in contesting in the Prime Minister's ward. As the main organizer of the two parties' joint walkabouts, Tan sought the Reform Party's help to contest in Ang Mo Kio GRC. The Reform Party then "loaned" Alex from the Singapore People's Party to contest in the ward. In his maiden election speech, Tan underscored the lack of a social safety net for the elderly in Singapore and the influx of foreigners that has diluted Singaporeans' identity. Other campaigning issues he took on included the state of overcrowding, cost of living and the lack of transparency and accountability in the national retirement fund, the Central Provident Fund, and the national reserves. In one of his speeches, Tan questioned Dr Vivian Balakrishnan about statements Balakrishnan had made about the government wealth fund GIC's portfolio having returned to pre-crisis levels and claimed that no statistics or figures were provided to back up the statements. SINGAPORE - The allegations made in an online article against Prime Minister Lee Hsien Loong and the Government in relation to the 1Malaysia Development Berhad (1MDB) scandal are "absurd", Law and Home Affairs Minister K. Shanmugam has said. And the police will investigate and take action against all involved, he said on Friday (Nov 9). The Monetary Authority of Singapore (MAS) filed a police report against the author of a Nov 5 States Times Review (STR) article, which alleged Malaysia had signed several unfair agreements with Singapore in exchange for Singapore banks' assistance in laundering 1MDB funds. MAS said the article "Lee Hsien Loong becomes 1MDB's key investigation target" made false and malicious statements and impugned its integrity as a financial regulator. Separately, the Info-communications Media Development Authority (IMDA) said the article had undermined public confidence in the Government's integrity, and is considered prohibited content under the Internet Code of Practice. IMDA yesterday issued a Notice to STR to take down the article by 5pm, which the website failed to do. In a Facebook post on Friday, STR said it rejected the order. It added that PM Lee or IMDA " is welcomed to file a case with the Australian authorities." An IMDA spokesman said the authority has directed Internet servce providers to restrict access to the site. It has also asked Facebook to deny access to the said post. In a post last night, STR said its website has been blocked, and will thus "cease and desist". It added that its Facebook page will shut down in two weeks' time, but the website will remain until the general election is over. The Law Ministry subsequently noted in a statement that Facebook had declined to take down the STR post, which is "clearly false, defamatory and attacks Singapore using falsehoods." "This shows why we need legislation to protect us from deliberate online falsehoods," It said. "Facebook cannot be relied upon to filter falsehoods or protect Singapore from a false information campaign." Mr Shanmugam had earlier commented about the article at the Treasury building, saying: "When you make allegations of corruption, money laundering, against the Prime Minister, Government of Singapore, that we are complicit in this and so on, of course we take this very seriously." The police will take action against all involved based on investigations and advice from the Attorney-General's Chambers, he added. Mr Shanmugam noted that the STR article was later picked up by Malaysian mainstream media. Malaysian website The Coverage published a similar article on Nov 7 linking PM Lee to the 1MDB scandal. China Press then picked up the piece. Asked if a foreign agency could be involved in spreading the fake allegations, Mr Shanmugam said he did not want to speculate. However, he noted that basic checks would have shown the allegations in the STR article were false. That was obviously not done when the Malaysian mainstream media picked up the article, he said. "So the natural question is, why did they publish these falsehoods, probably knowing that there is no basis? It is obvious also to anyone who publishes them that the allegations will seek to damage the prime minister and seek to damage Singapore. And yet they were published. "The modus: It appears in obscure sites and then gets picked up by mainstream media to make it look real. That modus has been practiced in other places. The Select Committee (on Deliberate Online Falsehoods) has set out instances where this is done elsewhere. So it is very curious," he said. Mr Shanmugam noted that the issue is not unique to Singapore, as technology has made the spread of falsehoods possible all over the world. On the claims that the STR article made about the Kuala Lumpur-Singapore High Speed Rail (HSR) and water deal, Mr Shanmugam said Malaysia has previously argued that the HSR agreement favours Singapore, and the price of water sold to Singapore is too low. "These have been made publicly, and we have answered them. This article repeats those points, and adds a nasty, malicious twist," the minister said. "It brings in 1MDB, it brings in (former Malaysian Prime Minister Najib Razak). And says that our Prime Minister and Singapore Government were corrupt, and complicit in money laundering on 1MDB. And that is why Singapore got favourable deals. Absurd allegations." Mr Shanmugam also debunked the article's allegations that Singapore was reluctant to investigate the 1MDB scandal. He noted that the Republic was the first jurisdiction to do so, against the financial institutions and individuals involved in 1MDB. The two-year investigation by MAS of both foreign and local banks was the most extensive supervisory review it has ever taken, he said, adding that MAS has shut down two banks and imposed fines of around $29.1 million on eight other banks, among other actions. Mr Shanmugam also noted that Singapore is the first, and perhaps only country to date, of at least 10 jurisdictions involved to secure convictions of individuals who facilitated the money laundering. Investigations are continuing into other suspects in Singapore, he said. Singapore has been providing the Malaysian authorities with information on 1MDB since 2015, which Malaysia has acknowledged, he added. The Sarawak Report had on Thursday distanced itself from The Coverage article. It wrote: "(The article) claims the editor of SR gave an unspecified 'interview to the Malaysian media' declaring that 'Singapore' is the next target of an unspecified '1MDB investigation'. SR has not given any such interview and has not written on this subject." 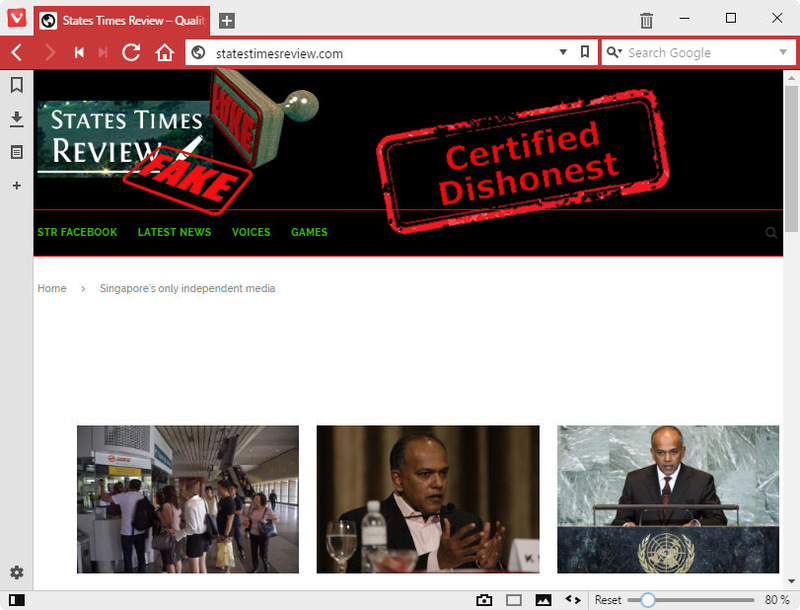 Singapore's High Commission in Malaysia had described that same article on the website of The Coverage as fake news and libellous a day earlier.